Have you heard? There's going to be a new book about Harry Potter!! The book will be released on Harry's birthday, the 31st of July 2016. 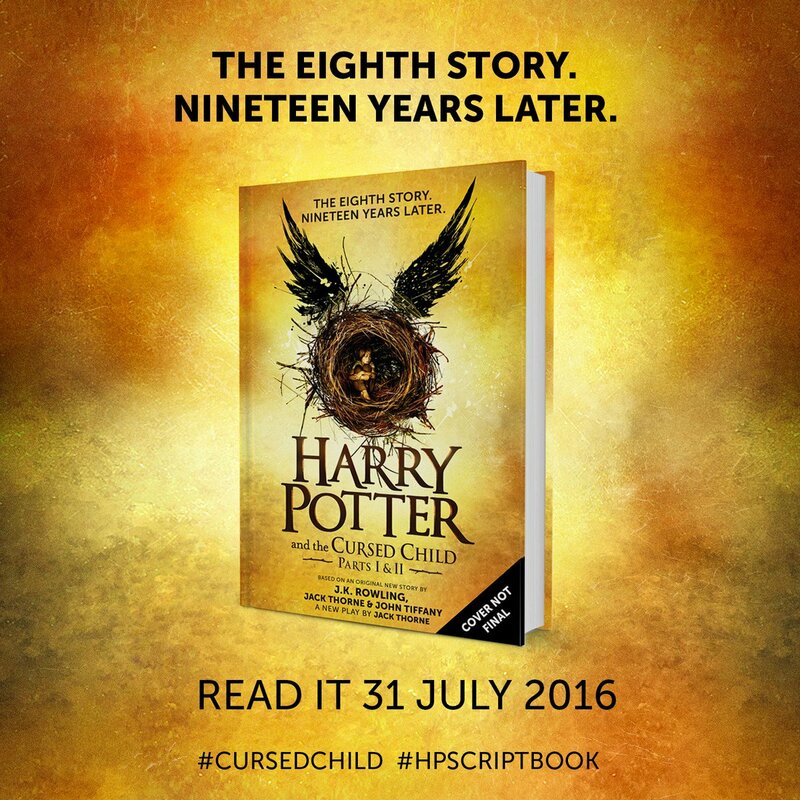 It will be different to the other books because it won't be a novel, it will be the script of the play Harry Potter and the Cursed Child, Parts I & II, in book form. The play opens in London the day before the book is released. As you will imagine A LOT of Harry Potter fans in New Zealand, and around the world, will not be able to go to London to see the play, so although it's not the novel we might have all wished for, at least we'll find out whats happened to Harry after he's left Hogwarts. I've adapted the above information from HERE and HERE - where you can also go to find out more.